If you want a fan that's just good enough, DON'T CALL US. It's not our gig. We're the industrial fan manufacturer for professional engineers and end users who actually care about their projects and their facilities' air movement. 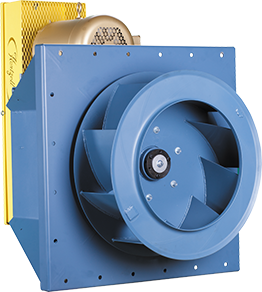 More than double any other industrial-grade fan or blower on the market. 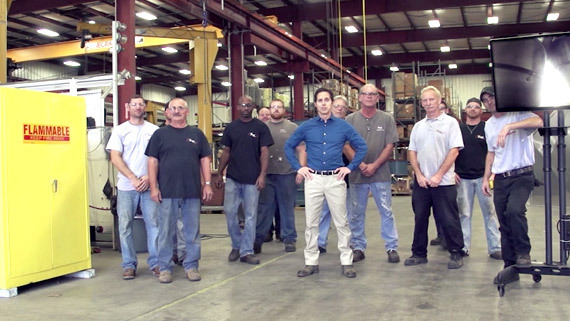 Built to be so durable and reliable, we stand behind them for five years! No other industrial fan manufacturer's warranty comes close. The newest addition to the quality line of Hartzell products. Easily find the fan you need. Finding and configuring the right fan or blower is easy. Use the Product Finder to narrow your search to a specific selection of products based on your application and specs. Contact your Hartzell representative to assist in identifying the specific product you need. Use the Hartzell-FLOW software program when you are ready to configure the fan or blower. Meet ventilation and indoor air quality standards over the long haul, no matter how dirty or corrosive the operation. Achieve assured air supply, cooling and pressurization in tight, corrosive spaces. Keep the process air system at peak efficiency in caustic and corrosive environments. Safely ventilate H2S and methane and control odor — reliably and quietly. Maintain excellent air quality while avoiding costly process disruptions and unsafe repairs. Easily handle fine particulates and keep critical processes going. Stay up and running, 24/7, even in a hazardous, highly regulated industry.